Providing you the best range of renesa cardiac kit, aspire syringe pump machine, pulse oximeter, afinion analyzer machine, inr monitoring system and alere cholestech ldx system with effective & timely delivery. Our company is known in the medical industry as a promising enterprise, engaged in offering supreme quality Renesa Cardiac kit which is use for early detection of Myocardail Infarction, the offered Cardiac kits are made in such a way that it can shows accurate results. These Cardiac kits are thoroughly checked on various stages by our quality experts assuring its flawless range. 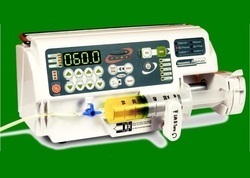 The offered kits are useful as a point-of-care treatment. We are the foremost pharmaceutical organization, engaged in offering highly Aspire Syringe Pump Machine which is used for potent drug infusions, the offered syringe pump is designed with the help of finest grade of material by our pharmacists at our working unit. This syringe pump is made available in various packaging options & customers can avail from us in bulk quantity as per the requirements. 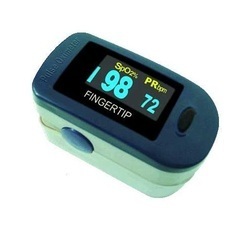 As a reputed organization in this domain, we are highly engrossed in offering superior quality Pulse Oximeter. The offered pulse oximeters are tested from our end in order to deliver a flawless range from our end. These pulse oximeters make your way easier to measure the amount of oxygen in your blood and your heart rate. We provide these pulse oximeters are also used to check on little ones with respiratory problems. It is a Afinion Analyzer Machine for HbA1c, ACR and CRP. The Afinion™ AS100 Analyzer is designed to enable simple and fast on-the-spot testing, regardless of the sample type, which may be whole blood, plasma or urine, and to deliver accurate results during patient consultation for improved patient management. Efficient and economical point of care testing for Alere Cholestech LDX System, and blood glucose serve as diagnostic tools that provide information for immediate risk assessment and therapeutic monitoring of heart disease, inflammatory disorders and diabetes. The Epoc Blood Analysis System is healthcare’s first cost-effective POC testing solution to leverage Smartcard Technology and wireless communication to provide caregivers with real-time, lab-quality blood gas, electrolyte, and metabolite results at the patient bedside. The Alere Triage Machine is a leading novel, rapid diagnostic test system comprised of a meter and various test devices that improve a physician’s ability to aid in the diagnosis of critical diseases and health conditions including heart failure and myocardial infarction as well as aid in assessing patients for pulmonary embolism. Alere Triage® brand rapid tests include quantitative BNP, CK-MB, d-dimer, myoglobin, NGAL, troponin I and qualitative TOX Drug Screen. The first rapid Point-of-Care test for the Alere Heart Check System of BNP using fresh capillary whole blood from a fingerstick. By detecting all known sub types of HIV, Alere Determine HIV will help healthcare workers across the world diagnose individual infection, prevent mother-to-child transmission, monitor HIV prevalence and screen blood donations. With its simple one-step procedure for serum/plasma or two-step procedure for whole blood. The enumeration of absolute numbers of T-helper cells (commonly referred to as a CD4 count) has become an essential part of monitoring the course of immunosuppression caused by the Human Immunodeficiency Virus (HIV) and the initiation of Anti-Retroviral Therapy. Alere Pima CD4 Machine test gives you the ability to monitor patients while they are still in your care. Consisting of the Alere Pima™ Analyser and Alere Pima™ CD4 Cartridge, the Alere Pima™ CD4 test enables CD4 T-cell analysis at the point-of-care from a fingerstick or venous whole-blood sample in only 20 minutes, providing an effective and affordable tool in the management of HIV patients, specifically designed to serve the needs of the healthcare professional in the field, the laboratory or the office. The Accu-Chek Blood Glucose Monitoring System now offers functions to mark and evaluate the pre- and post-meal blood glucose values; the latter have moved into the focus of attention as a major independent cardiovascular risk factor over the past years. The new Accu-Chek Active system provides the option to flag these values of particular importance and thus supports a precise evaluation of the metabolic situation. Furthermore, the averages of pre- and post-meal values for the last 7, 14 or 30 days can be retrieved from the meter's memory and displayed directly on its screen. 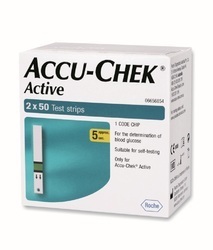 Accu-Chek Active has a 350-value memory for saving results (together with date and times) as well as an infrared interface for communicating with a PC running a suitable analysis program. No need to press buttons when you carry out the test. Contour Plus Contour TS Meter is designed with No Coding™ technology, to automatically code itself every time you insert a test strip. It offers Second Chance sampling i.e. the meter alerts you when a test strip is under-filled and allows you to add more blood within a certain timeframe. 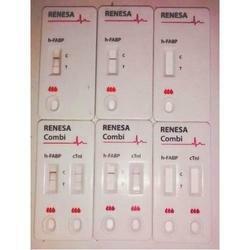 Your test strip is designed to easily "sip" the blood into the sample tip. 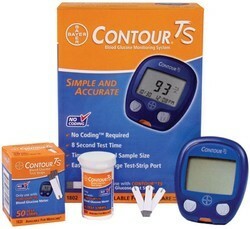 Patients can detect their blood glucose level or diabetes at home very easily. 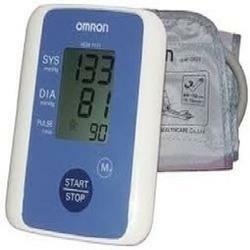 Omron Digital BP Monitor for day-to-day check up. Just one start - stop button for easy to use. 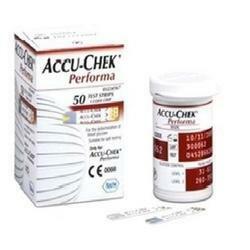 Accu-Chek Performa test strips only require a tiny 0.6 micro litre sample for a blood glucose measurement. This makes lancing less painful as you can use a lower penetration depth. Furthermore, a smaller blood sample reduces the likelihood of under-dosing. We are a reputed entity in the industry, actively engaged in offering an optimum quality range of Accu-Chek Strips. 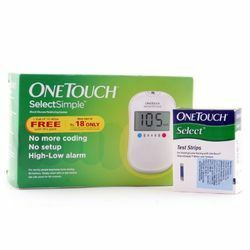 ONETOUCH® SelectSimpleTM, a blood glucose monitor with new features and benefits that make tracking your blood sugar easier and faster. With colour and audio alerts, you are alerted when your blood sugar levels are low, high or very high. With its icon-driven interface and no coding, setup or buttons, all you need to do is insert the strip to start, apply blood, and results can be obtained in a matter of seconds. It detects blood glucose or diabetes in few seconds. 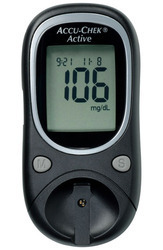 SelectSimpleTM is one of those rare glucose monitors that combine ease of use with accuracy at an affordable price. ONETOUCH® SelectSimpleTM has been specially designed with your needs in mind. It helps you make sense of the highs and lows, helps you achieve better outcomes.